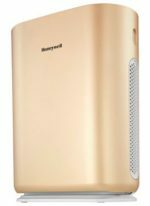 One of the Best selling Air Purifiers from Honeywell is the Air Touch A5. Consumers like you have made a smart choice of zeroing in on Honeywell air purifiers. 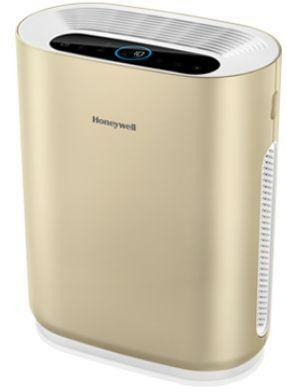 A still smarter decision would be to be to choose the Honeywell Air Touch i8 air purifier. Read this full review for a complete understanding of the features which it has to offer. 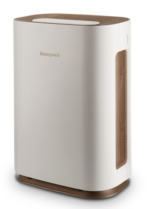 Affordable price, excellent performance, neat looks and inbuilt air quality indicator are reasons enough why the Honeywell Air Touch i8 has emerged as the preferred choice of clean air seekers. 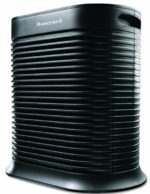 All the Honeywell air purifier models have more or less the same body design and shape. 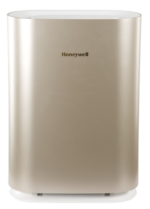 Without any noticeable variation in looks , the Honeywell i8 can only be differentiated by looking at its control panel. Versatile Coverage Area and efficiency – CADR (Clean Air Delivery Rate) -For a room with 9 feet height – suitable for use in living rooms and bedrooms. Not just the digital reading of PM2.5, there is also a Tri-LED system. Depending on the pollutant levels in the room, the LED changes its color. The circular blue light shown in the image below is where the color change is visible. 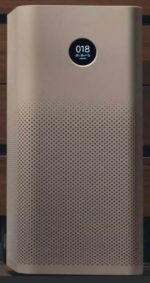 Three stage advanced filtration system removes more than 99% pollutants, PM2.5, pollen, bacteria, virus, formaldehyde, toxic gases & odour. 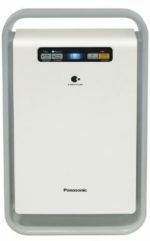 It consists of combined patented HiSiv and HEPA filter that removes pollutants with more than 99% efficiency. Washable pre-filter that removes larger dust particles, pet hair/dander, soil etc. Approximately 3000 hours of filter life, basis the ambient pollution can work for a year if used for 8 hours daily. Do Remember to remove the plastic off the filters before using the air purifier. 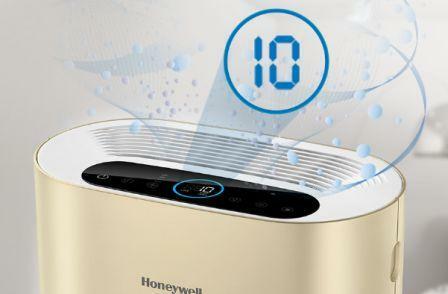 The Honeywell Air Touch i8 has a pre-filter stage. Helpful as it stops most of the dust and larger particles from choking the inner filters. Filters can be replaced easily without the need to call a field technician for a visit. Filter is washable which prolongs the life of the inner compound filter. Bear in mind not to use harsh chemicals. Instead use plain water. Removes larger dust particles including PM10, hair and cloth fibers. Removes formaldehydes, Volatile Organic Compounds and odor. When the inner compound filter expires its utility and air cleaning capacity, this indicator glows a red light. Below is the link to purchase the replacement compound filter and prefilter. 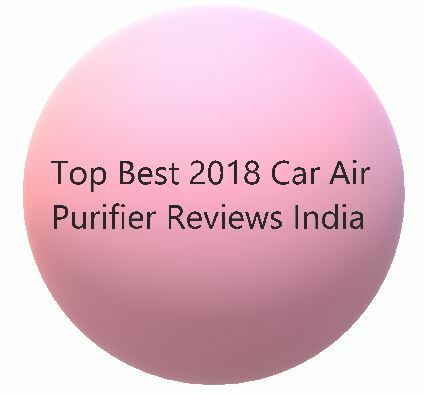 Completely ‘Ozone Free’ Air Purifier. Does not emit any harmful gases as a byproduct of the filtration technology. Low noise – 38 dB to 63 dB. This noise level is lower than most indoor air conditioners. 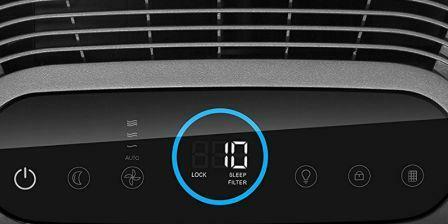 The air purifier will become noisy when operated in full fan speed mode. 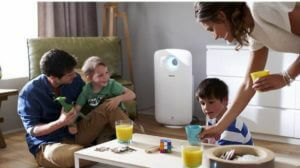 Child Lock lets you protect the air purifier from naughty kids changing its settings. Complete peace of mind is also called auto mode! Just set to this mode and the Honeywell i8 air purifier adjusts its fan speed and operation as per need. 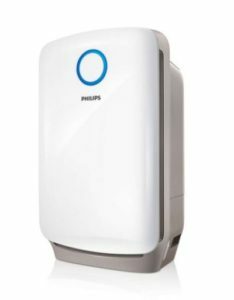 The air purifier responds quickly to changes in ambient air quality. For example take the instance when the indoor air quality is better than the outdoors. As the doors are opened and outside air is let in- the air purifier senses the bad air and increases its fan speed. Price of replacement filters is high. A new filter set purchase will not be a thoughtless affair. Many people will want to delay the day when they have to spend approx 3600 for the compound filter.